Broadcast the day George Harrison died. The last interview & last performance of a truly great individual. 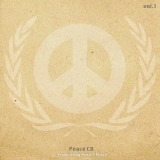 To upload your original Peace Songs, have a chance to have your Track on the first Peace CD release! The Gandhi Tour - Dr. Arun Gandhi's Message of Peace is now being featured in the community.